(Santa Barbara, Ca.) JULY 8, 2013—World champion surfer and best-selling author Shaun Tomson releases The Code (Gibbs Smith, $16.99, Hardcover, 136 pages, August 2013, ISBN: 978-1-4236-3429-4), a simple strategy for confronting everyday challenges and making positive, life-changing decisions. In 12 personal stories Shaun shares the power of “I Will”—a code that has carried him to the heights of professional success and helped him navigate the depths of profound grief after the loss of his teenage son, Mathew. Tomson’s new book was inspired by the students at Anacapa School, a small, independent school in his hometown of Santa Barbara, California. After speaking to the students Shaun asked each of them to create their own personal code, their vision of their future – to take just 20 minutes and think about their goals and write them down, starting every sentence with the words “I Will”. A week later, Shaun received the answers. “They were beautiful, sensitive, full of humor and hope. In essence the kids wrote a series of promises they had made to themselves.” It is the student’s “I Will” statements that create the framework for the book. Shaun Tomson, a native of South Africa, won surfing’s world championship in 1977 and was listed as one of the most influential surfers of the century. He graduated from the University of Natal with a business finance degree and launched two popular surf apparel brands in the 1980s and 90s. 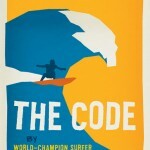 Tomson authored Surfer’s Code and produced the award-winning documentary Bustin’ Down the Door. Tomson is a board member of the Surfrider Foundation as well as the Santa Barbara Boys & Girls Club. A motivational speaker & business consultant, he currently lives in Santa Barbara with his wife, Carla, and son Luke. Patrick Moser is the editor of Pacific Passages: An Anthology of Surf Writing (University of Hawai‘i Press, 2008). 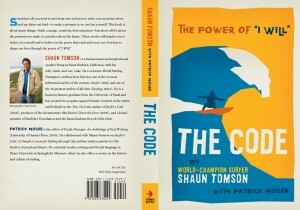 He collaborated with Shaun Tomson on Surfer’s Code: 12 Simple Lessons for Riding through Life and has written articles for The Surfer’s Journal and Surfer. He is currently Professor of French at Drury University in Springfield, Missouri, where he also offers a course on the history and culture of surfing. “I will” is a resounding mantra for youth of today. This is a great piece of literature that I humbly suggest is read by our children and their parents. Together they can and will change the world. David Edelman MA, MBA, MFCC, President Board of Directors, Santa Barbara Boys and Girls Club.